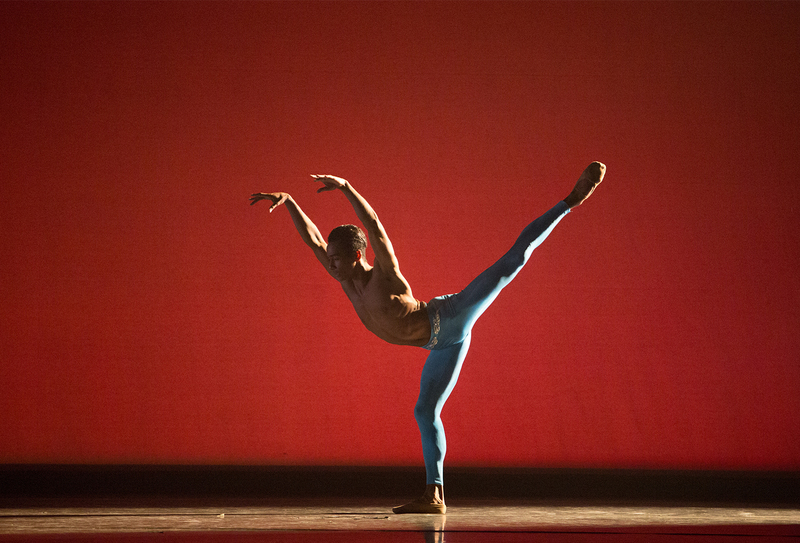 Ricardo Santos in “Rio.” Choreography by Ib Andersen. Photo by Alexander Iziliaev. In 2016, after the premiere of Artistic Director Ib Andersen’s ballet Round at Desert Botanical Garden, esteemed New York Times dance critic Alastair Macaulay wrote, “I’ve visited Ballet Arizona five times now. Its repertory – from August Bournonville’s Napoli to George Balanchine to among the world’s finest Nutcracker presentations – this strikes me as one of the most enterprising companies anywhere.” These words speak to the heart of our company, and to the purpose of our New Works Initiative. Ballet is an art form that has spanned centuries, originating in the 15th and 16th century Italian Renaissance courts, and like most art forms has evolved over time. However over the course of history, ballet has built the reputation of being an art for the elites, and very much stuck in the past. Year after year, companies around the world, including Ballet Arizona, continue to perform works created in the 19th century, such as Swan Lake, The Sleeping Beauty, and Giselle. So how do companies honor the classical traditions of ballet, while bringing it into the modern era? The answer, new works. As part of our mission states, “The Company is dedicated to preserving and celebrating classical dance while creating and commissioning new and innovative works.” So in 2015, Ballet Arizona launched the New Works Initiative, with the purpose of ensuring our company continue to bring innovative and provocative performances to Arizona audiences. 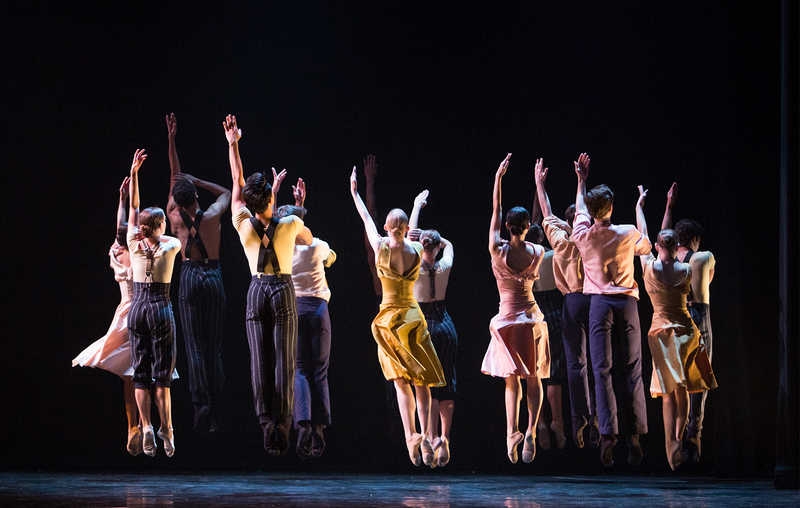 Company dancers in “Second To Last.” Choreography by Alejandro Cerrudo. Photo by Alexander Iziliaev. New works is a term you hear quite often these days and it sparks the question why are they so important and why do they need my support? Simply put, new works contribute to the advancement of the art form. Without them we keep those stereotypical notions that it is an outdated art form alive. And as lovers of ballet know, that could not be further from the truth. Since the launch of our New Works Initiative, Ballet Arizona has brought over 15 new works to the Valley. From the first-ever American production of the 1842 classical ballet Napoli, to works by world-renowned choreographers like Alejandro Cerrudo of Hubbard Street Dance, and Justin Peck of New York City Ballet , to contemporary ballets by our very own Ib Andersen, like his highly-anticipated premiere of The Firebird coming to the Valley in February 2019! These achievements would not be possible without donor support. This funding has allowed a creative environment here at Ballet Arizona to flourish, not only providing our dancers with new opportunities to develop as artists, but giving the Arizona community, whether they are long-standing patrons or curious first-timers, a variety of choices when it comes to experiencing ballet. So we say thank you to everyone who has supported the New Works Initiative, we look forward to what the future holds! Company dancers in “Rigged Games.” Choreography by Nayon Iovino. Photo by Alexander Iziliaev. Click here to learn more about our New Works Initiative and how you can get involved!